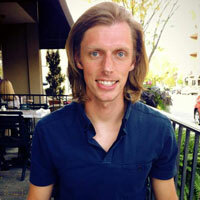 Hey guys, Eric Tarr here for theproaudiofiles.com. 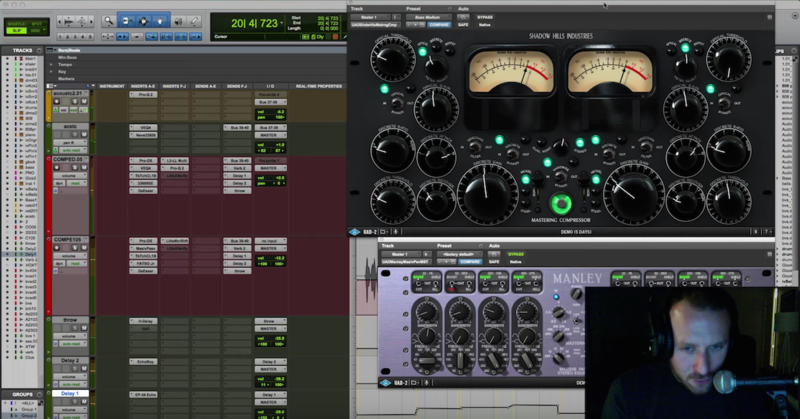 In this video I’ll be demonstrating how to use compression to control the dynamic range of a mix. 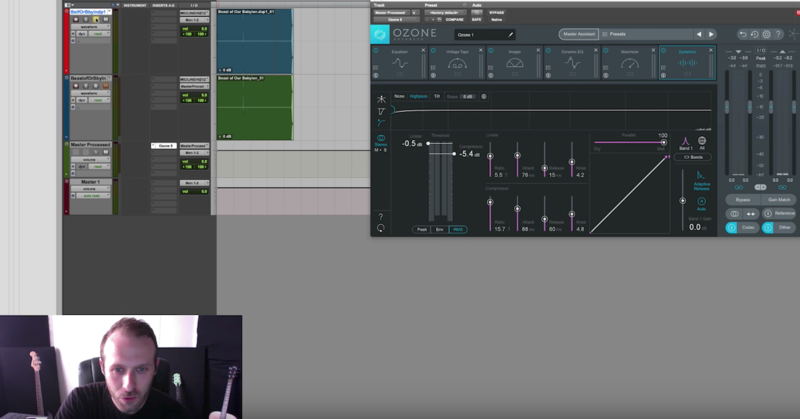 So far in this project, I’ve been using the iZotope Ozone 5 plugin to clean up and prepare my mix using some basic processing. Here’s what I’ve got so far. So one thing I haven’t covered so far that’s one of the most important aspects of the mastering process is controlling the dynamic range of a mix. This essentially means controlling how loud your song is. If you’re song is gonna be up on the radio against other songs or competing with songs on iTunes or on CD, you want your song to be really loud without clipping. So this is usually done in two parts during mastering. First is with compression that I’ll demonstrate here, and second is with limiting which I’ll be covering in another video. So let’s get into the plugin, I can show you some tricks that you can use. Switch on the dynamics module here. Turn it on. Right now it’s in multiband mode which means there are four frequency regions that are gonna be — you can compress separately. If you don’t want to do this you can always turn it off if you prefer broadband or wide band compression with a single band. Another thing that I’ll do is open up my graph here, because I want to make sure my dynamics module is after my exciter. My exciter is probably going to be adding some harmonics from the low frequency region to the low mids and that kind of stuff. So I want my dynamics to be responding to my exciter. It’s just a matter of personal preference, but it’s a good place to start. So I’ll close that now. Alright, I’m gonna show you a couple different techniques that you can apply in all sorts of different ways when you’re in mastering. And I’ll talk about each one of them, how they work and what you can use them for. So to begin with I’ll start out in my low frequency region and I’ve noticed that I want this region to be a little bit more punchy. So I’ll solo it, you can listen to it. So I want to help my kick drum and my bass guitar out a little bit by just giving a little bit more emphasis and energy. So, what I’m gonna do is focus on the compressor right here. Use a ratio of 2 to 1 or 3 to 1 at the most. Again, with mastering you want everything to be very subtle so don’t use very ratios. Very low thresholds either. 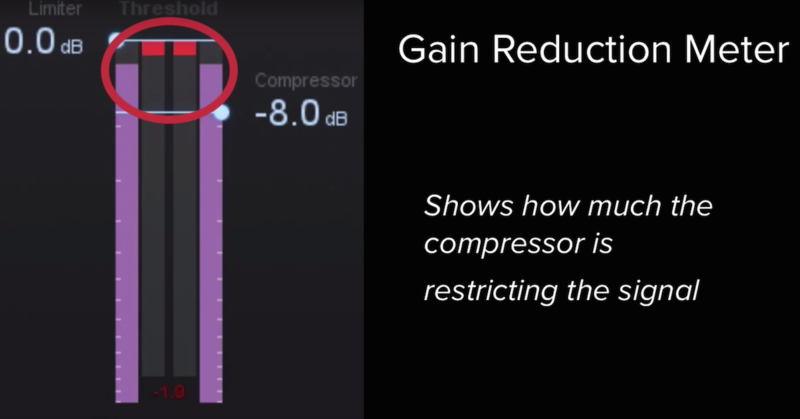 So in this kind of compression I want to back off the attack so that the transient goes through the compressor but then I’m compressing the sustain. So I’ll back off the attack a little bit. I’m gonna switch over to the gain reduction trace and watch the waveform and see the gain reduction taking place. See how much attack and release I need to change depending on the tempo of my song. Back down the threshold. Looks good. Let’s hear what that’s doing to my low end. a little bit muddy right now when I bypass it. A little bit more punchy if I add back in the gain reduction. Makeup gain here. About 2 dB. Make sure that my — I’m not losing my low end by doing the gain reduction or compression. Cool, next up I’ll focus on the low-mids. Here what I’m gonna do, because this is where my vocal region is and a lot of the melodic instruments are, I want this to be very subtle kind of compression. Switch over to this one. So what I’m gonna do here is use a very very low ratio, 1.1 to 1, and then what I’m gonna do is drop the threshold such that almost all the signal is having a little bit of gain reduction taking place on it. You’ll notice that the dynamic range, I’m just shrinking it by a little bit, this is gonna be a very very subtle way of doing compression. Nonetheless, it’s gonna sound very natural and just drop the dynamic range ever so slightly. So the signal is almost always being compressed. Might even speed up the release time so it’s responding very quickly. Maybe a little bit too fast. I want it to be smooth here. Very very natural, very very subtle kind of compression. Another thing that you can play around with is trying out the peak, RMS and envelope. They’re gonna offer you different kinds of compression, how the compressor responds whether it be to the peaks of it, or like the envelope of the signal, or just the average energy. So I’ll try out some of these. Just another variable to play around with when you’re working with a compressor. Next up, the high-mids. One thing I’m gonna switch over here to just to demonstrate is from the stereo mode to mid-side mode. And you know, this was actually going to affect all the different frequency regions together, but nonetheless I’ll just demonstrate it for this one. And mid-side processing allows you to compress what’s going through right and left channel separately from what’s basically going through both of them, which is gonna be perceived in the center in the mid channel here. So in this case what I want to do is allow the things on the side to breathe a little bit more, to not be compressed, but then compress what’s in the center. Alright, this is if you need to control how loud things like the vocals are, you can compress using mid-side processing without affecting your stereo image. Alright so let’s look at this, maybe I’ll do another 2 to 1 ratio and use a very very long release. This would simulate kind of going back to the days of the SSL kind of buss compressor where you have the auto mode, with the auto release which is very very long release, just gonna act more as a smoother and back off the attack. So even if there’s a long attack. If there’s a really really long release there’s a potential that the transients are gonna be compressed by the release more than the by the attack, so we’ll just try out this a little bit. Switch over to this mode. So if ever you’re working on your mastering and you find that there’s a lot of sibilance in the vocals, and maybe your snare drum is also a little bit too loud, if you compress the upper mids like I’m doing right here, using this kind of processing — the mid-band processing assuming your vocals and snare are panned to the center — this is a way to control that level independent of your stereo image of things like cymbals and that kind of stuff. So just another trick for you guys to experiment with. Last I’ll show up in the really really high frequencies up here. What I’m gonna do is very very fast attack, very very fast release. Squash the transient of this part just as a way of making the really really high frequencies a little bit less harsh. Alright, so I’ll play around with this one. Bypass it. A little bit more harsh. 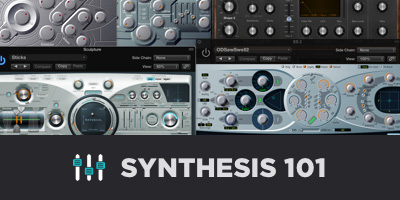 So those several different techniques that you can use for compressing at the mastering stage to control the dynamic range of your mix. 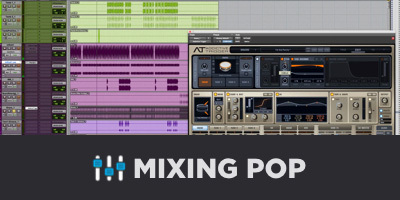 Stay tuned for the next video where I’ll be discussing how to tighten up the low end of your mix and make your mix larger than life by using stereo imagers.